Today I wanted to share with you a flip though of the art journal that I have completed in the time that I have been with Colour Blast. It has taken me about 3 months to fill it. I have uploaded a journal flip though video on Youtube of this journal. I even talk in it this time! I explain some of the techniques that I have tried, show some new pages that I haven’t shown before and recap some of the videos and blogs that I have already done. 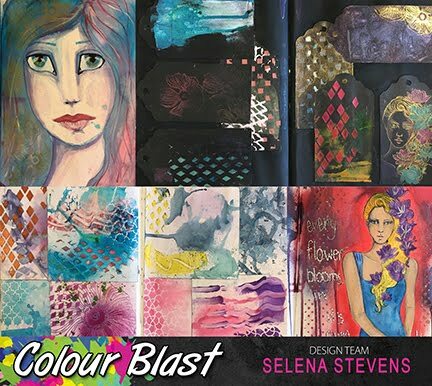 I show some pages that I did for the Colour Blast monthly challenge. To have a look at what the challenge is for the month go to the Colour Blast Creative Corner on Facebook. 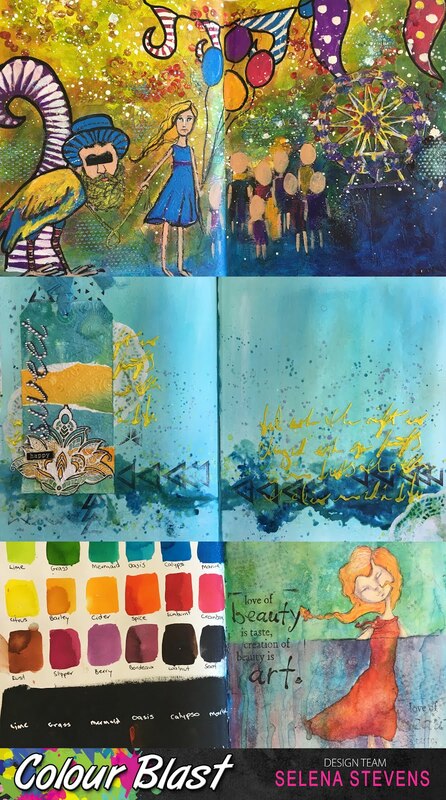 I show some pages where I experimented with the Colour Blast products and how they interact with other mediums. Like the Colour Artist Inks above. I recap what pages are available as a Colour Blast blog post and Youtube video such as when I first swatched the Colour Blast products. 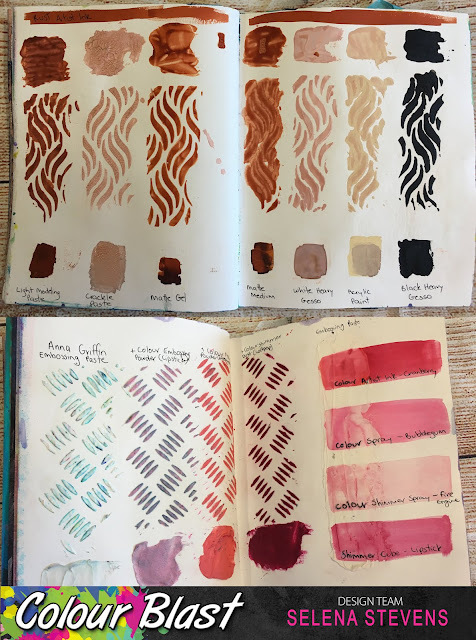 I talk about some of the pages and tags that I created while demoing at the World of Craft Expo in Brisbane where I first met Teniesha, the owner and founder of Colour Blast and fell in love with the Colour Paste colour Sienna. 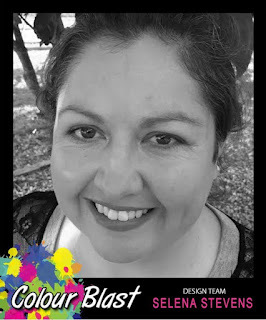 I also discuss the pages that I created while attending my first scrapbooking retreat hosted by Colour Blast. Not that I scrapbook but I did want to see what all the fuss is all about and I would highly recommend it. Colour Blast run several scrapbook retreats during the year. 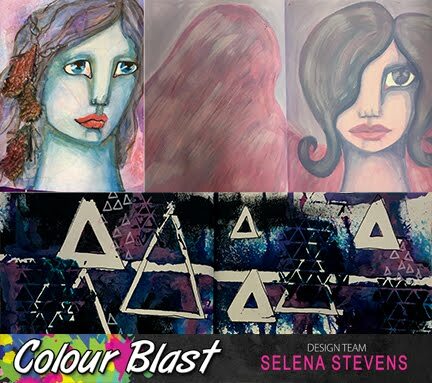 If you are interested contact Colour Blast for more information. I hope you enjoyed this and until next time.